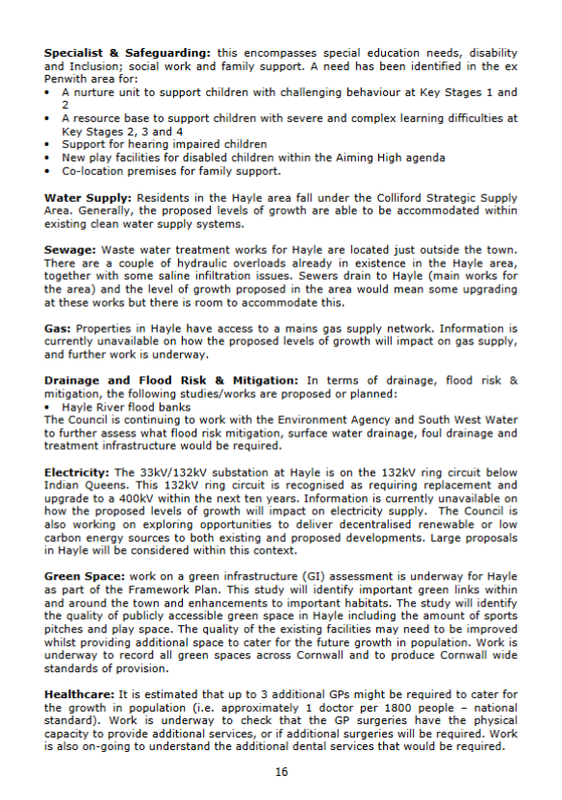 Submitted by Cornwall Council on Thu, 07/07/2016 - 00:00.
especially in St Ives by visitors during key visitor months. 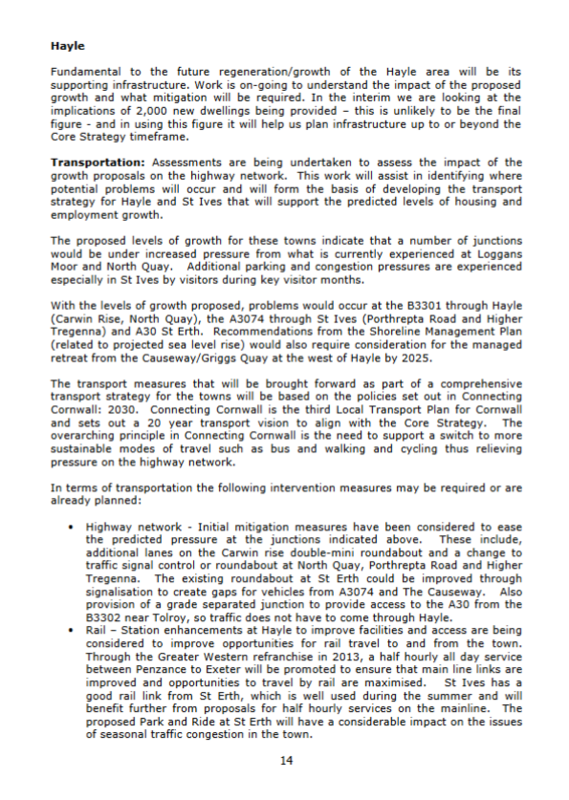 retreat from the Causeway/Griggs Quay at the west of Hayle by 2025.
overarching principle in Connecting Cornwall is the need to support a switch to more sustainable modes of travel such as bus and walking and cycling thus relieving pressure on the highway network. B3302 near Tolroy, so traffic does not have to come through Hayle. considered to improve opportunities for rail travel to and from the town. of seasonal traffic congestion in the town. 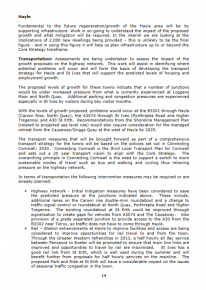 which we want to build upon with the transport strategies for the towns. 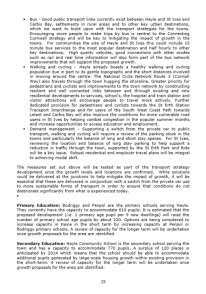 improvements that will support the proposed growth. 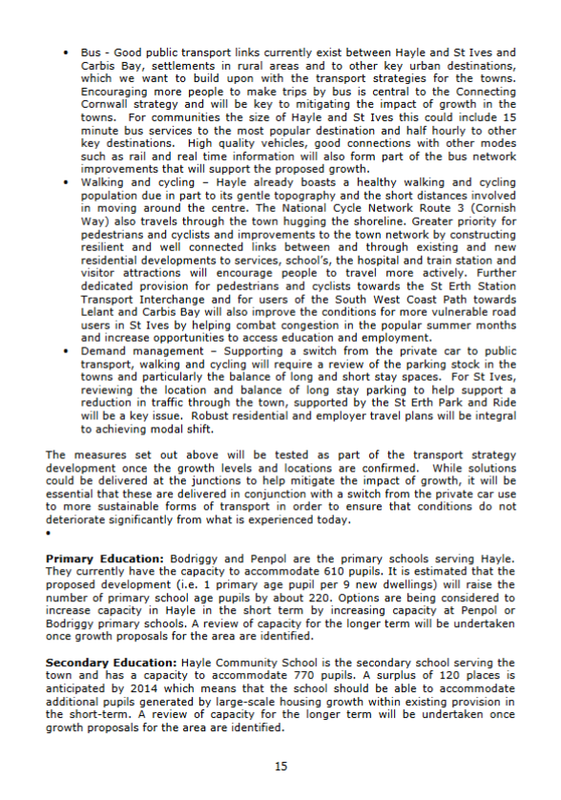 users in St Ives by helping combat congestion in the popular summer months and increase opportunities to access education and employment. will be a key issue. Robust residential and employer travel plans will be integral to achieving modal shift. deteriorate significantly from what is experienced today. 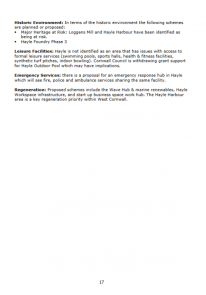 once growth proposals for the area are identified. growth proposals for the area are identified. Co-location premises for family support. existing clean water supply systems. 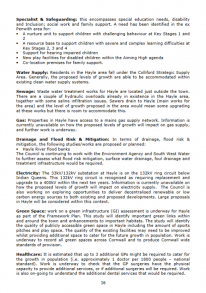 Sewage: Waste water treatment works for Hayle are located just outside the town. at these works but there is room to accommodate this. and further work is underway. treatment infrastructure would be required. 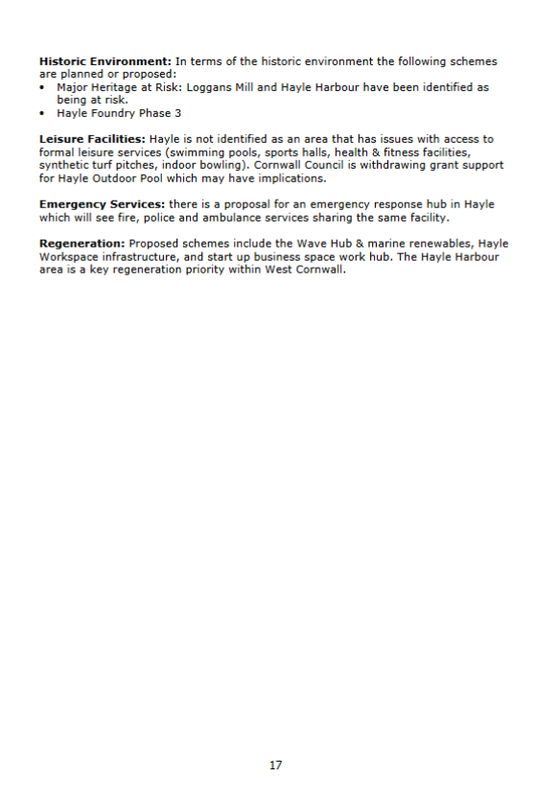 in Hayle will be considered within this context. is also on-going to understand the additional dental services that would be required.